Food consumption is a major driver of global environmental impacts. This paper presents an analysis of the life cycle impacts caused by global food consumption based on the newly completed input-output model; Exiobase v2. Exiobase v2 is a multi-regional input-output database covering 43 countries plus five rest-of-world regions for 2007. 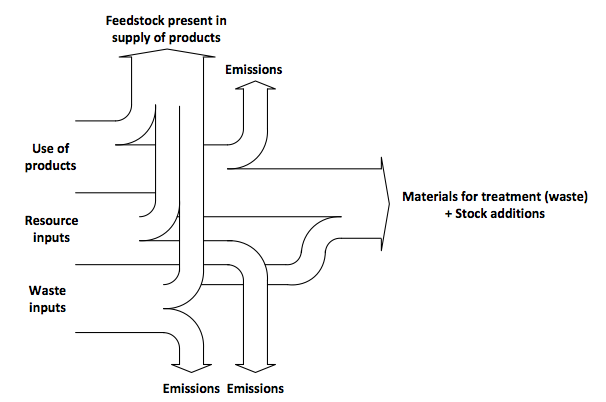 The data in the model includes all global product, emission and waste flows related to food consumption, i.e. a global mass flow analysis of all food related flows. The functional unit of the study was the global consumption of food in 2007. The included life cycle stages were cultivation/husbandry, processing, retail, preparation in households/restaurants and food waste disposal. The impact assessment focused on GHG-emissions and land-use. In this respect it should be noted that a model of indirect land-use changes is integrated in the Exiobase v2 model used in this study, to account for GHG- emissions caused by the use of land.